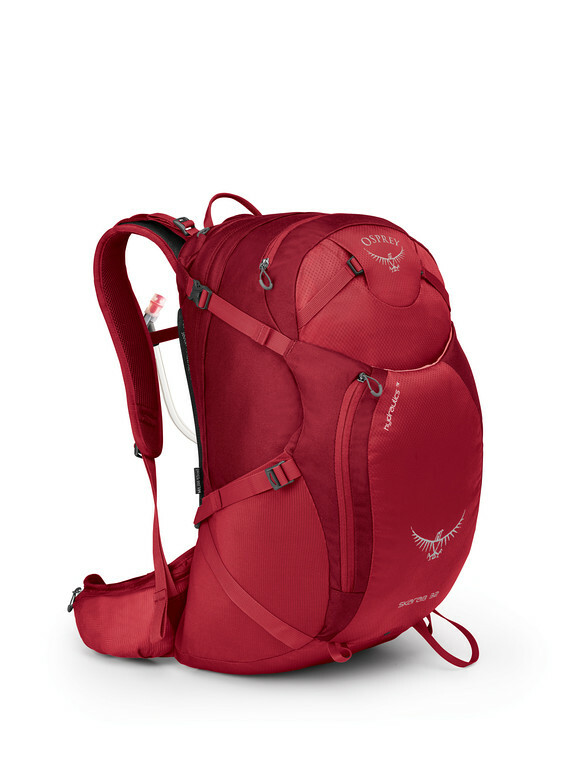 Grab the Osprey Skarab 32 and hit the trail. Designed to carry up to 25 pounds, you can fit all the essentials and still have room for a gourmet picnic lunch and a bottle of Italian red. Framesheet suspension spreads the load across the entire mesh backpanel and a BioStretch™ harness and hipbelt reduce the weight on your spine. Dual side compression straps provide stability during dynamic movement. There are plenty of storage options including a scratch-free zippered stash pocket to secure your phone or sunglasses, a zippered front organizer pocket with a handy key clip, a front panel shove-it pocket for an extra layer, and zippered hip belt pockets. Final exterior touches include an ice axe loop and trekking pole attachment system.